Practical Medical Insights will be featured on the Conversations in Care web radio broadcast this Wednesday, March 20, 2013, at 2:00 p.m. EST (1:00 p.m. CST). I will be interviewed by the host, Tami Neumann, and we’ll be talking about the background of Practical Medical Insights, personal medical advocacy, what I do to help my clients, and tips for staying in control of your own medical situations. Click http://www.blogtalkradio.com/conversationsincare/2013/03/20/physician-guidance-through-the-medical-maze to hear the broadcast. You can either listen during the live program or after the show (the same link will be available for on-demand listening after the broadcast). 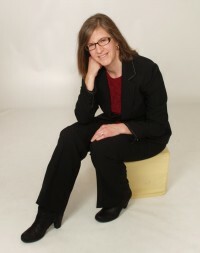 As always, if you have any questions you can visit www.practicalmedicalinsights.com or contact me directly. This entry was posted in General Thoughts, Uncategorized on March 19, 2013 by Abi Schildcrout.